COLUMBIANA–The Wellsville girls basketball team fought past Heartland Christian 41-35 Saturday. The Tigers improve to 2-12 overall, the Lions fall to 0-12. Hunter Weekley enjoyed a big game for the Tigers with 19 points, six rebounds and three assists. Camryn Jackson provided 10 points, while Menina Jackson grabbed 11 rebounds. Cambria Murphy added six rebounds. Sydney Ogden led Heartland with 16 points. Hannah Rossi snagged 10 rebounds, while Jana Croyts had nine rebounds. Wellsville won the jayvee game 29-26. Iliyah Barnes had eight points for the Tigers. Cecily Owens had six points for the Lions. 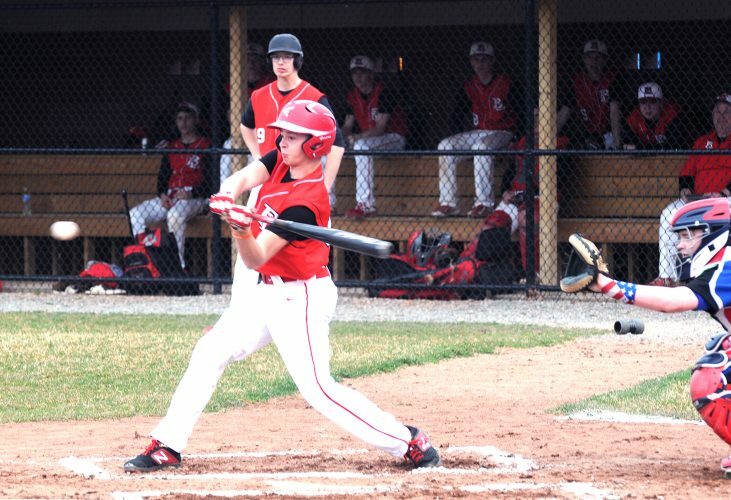 Wellsville is at Toronto Monday. Heartland is at Lordstown Wednesday. 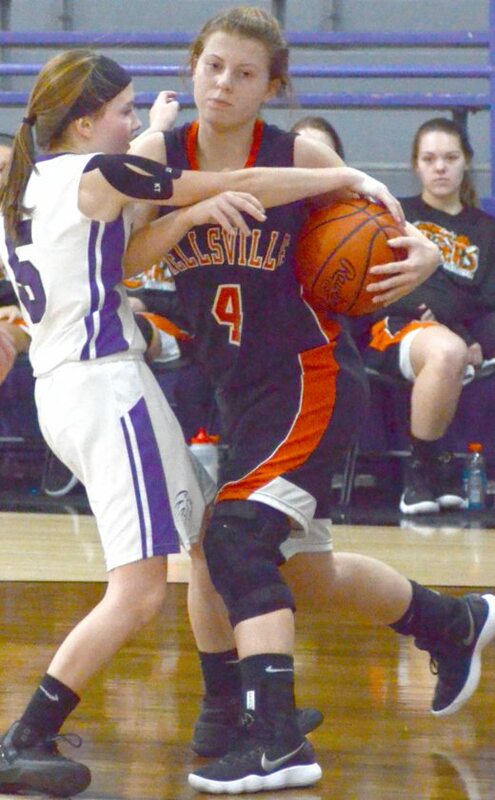 WELLSVILLE SCORING: Aleia Hawk 0-1-1, Hunter Weekley 7-2-19, Abigail Cline 0-2-2, Camryn Jackson 3-3-10, Cameron Carlevale 2-0-4, Cambria Murphy 0-1-1, Menina Jackson 1-2-4. TEAM TOTALS: 13, 11-18: 41. HEARTLAND SCORING: Jeanna Morgan 2-4-8, Sydney Ogden 5-4-16, Sarah Adkins 1-0-2, Brooklin McCoy 1-0-2, Jana Croyts 3-1-7, Megan Johnson 0-0-0. TEAM TOTALS: 12, 9-14: 35. Three-point goals: Wellsville 4 (Weekley 3, Camryn Jackson), Heartland 2 (Ogden 2). SALINEVILLE — Southern used a 22-point second-quarter outburst to down United, 58-43, Saturday night. The Indians trailed 13-6 in the first quarter before pulling ahead 28-22 at halftime. Southern improves to 8-3 on the season. It was a team effort for the Indians as Anna Sevek had a game-high 21 points, seven rebounds, five assists and four steals, Riley Felton totaled 16 points, 18 rebounds and three steals, Hayleigh Allen collected 12 points and 10 rebounds, Stella Ruby Karcher gathered 13 rebounds and seven assists, and Sam Michael added five steals and four rebounds. Hannah Mix topped the Eagles with 16 points. Celeste Hofmeister followed with eight points. United won the junior varsity game, 30-10, as Morgan Briceland scored 10 points and Kendyl Daggy seven. Delainey Mellott had five for the Indians. Both teams play Monday as Southern visits Leetonia and United travels to Lisbon. UNITED SCORING: Loren Swords 1-0-2, Molly Briceland 2-1-5, Celeste Powers 3-0-8, Hannah Mix 4-8-16, Celeste Hofmeister 3-0-8, Courtney Cooper 1-2-4. TEAM TOTALS: 14, 11-21: 43. SOUTHERN SCORING: Hannah Hayes 0-0-0, Hayleigh Allen 5-2-12, Anna Sevek 5-10-21, Stella Ruby Karcher 2-3-7, Sam Michael 1-0-2, Riley Felton 7-2-16. TEAM TOTALS: 20, 17-29: 58. Three-point goals: United 4 (Powers 2, Hofmeister 2), Southern 2 (Sevek 2).